Here is a collection of some of the great researchers who have passed through the doors of the Oxford BabyLab. You can find BabyLab people scattered all around the world! Vanja is an Assistant Professor in Psychology at the University of Belgrade in Serbia and a member of the newly established Laboratory for Neurocognition and Applied Cognition. Following on from her DPhil at the BabyLab, Vanja has been investigating categorisation, implicit vs explicit processing, taxonomic vs thematic processing, sound symbolism etc, using behavioral, eye-tracking and ERP methodologies. You can see the Department of Psychology's Page here. 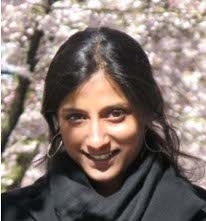 Nivi is currently the head of the Language Acquisition Research Group at the University of Goettingen in Germany, which looks at the interface between phonological and lexical information in infant learning, and how infants recognise words that they encounter. You can read more about the group (WortSchatzInsel) here, and Nivi's personal page can be seen here. 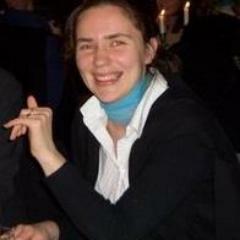 Julien is currently Associate Professor in the Department of Psychology at the University of Oslo. Among other things, Julien's current research focuses on word learning, primarily the impact of environmental pressure and lexical constraints, as well as researching bilingualism. You can see Julien's page at the University of Oslo here. Suzy is currently an Assistant Professor at Nanyang Technological University (NTU) in Singapore. At the moment, Suzy is researching how language develops, from infancy to adulthood, as well as how sounds of words are connected to their meanings. You can see Suzy's page at NTU here, and her Brain, Language and Intersensory Perception Lab here.